As your toddler is hitting the age-2 mark, it is time to start letting them sleep on a pillow. But the question is, “What kind of pillow do I buy my toddler?” Adult pillows just do not work for toddlers. They are disproportionate to their bodies. Toddlers need something that is smaller, allowing them to sleep longer, provide great support for their posture, and is safe. There are specialty pillows on the market that have been created with all these points in mind. So how do you select the best pillow for your toddler? We have researched some of the best and most popular pillows on the market and then created this list, which details the top 10 toddler pillows on the market and why they made our list. With all this information, you can be informed and ready to make your decision with ease. You can now utilize our brand new format to compare the ten best toddler pillows on the market! Our latest upgrade allows you to see each product scored based on the most important buying criteria. 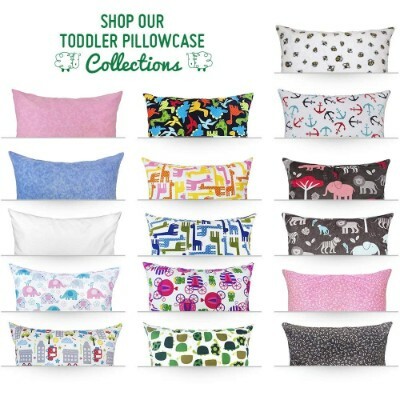 In the most recent update of this buying guide, we clarified some of the information provided on toddler pillows and added a couple of highly rated products to the list. In addition, we reviewed all product information to ensure that it is accurate and up to date. 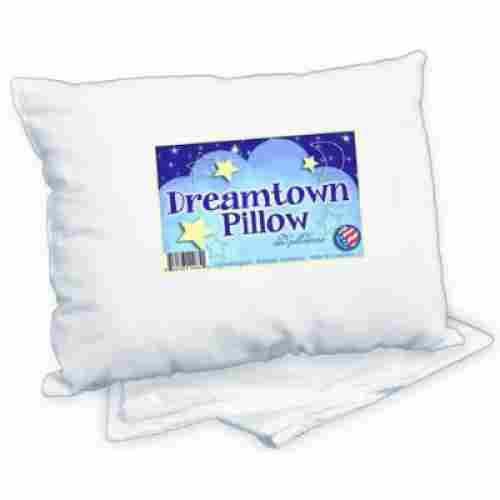 One of the most inexpensive toddler pillows in our top 10 list, this pillow from Dreamtown Kids is filled with a blend of cotton and polyester. This allows it to be machine washed without any worries. At this price, coupled with its 100 percent hypoallergenic and machine washable properties, what’s not to like about the toddler pillow from Dreamtown Kids? We also love the size which is just right for toddlers. We love that this pillow was especially designed for fussy sleepers. 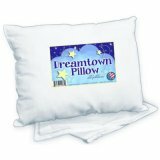 The Dreamtown Kids Toddler Pillow will not only help your child fall asleep, but it will keep them comfortable and secure enough to stay asleep. We find this incredibly beneficial because toddlers and young children need lots of sleep in order to grow happy and healthy. 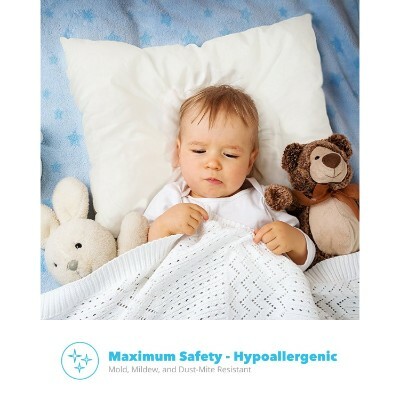 Additionally, this 14 by 19 inch toddler pillow is 100 percent hypoallergenic which has been shown to be resistant against mold and mildew. Chiropractors highly recommend it as any toddler’s perfect first pillow. Clearly one of the best toddler pillows we have in our list and well-loved by Moms and Dads all over. It also features a high thread count at 200 to make it super comfy for any toddler. It is filled with hypoallergenic polyester fiber that also gives it excellent washability without getting lumpy. We love the fact that it is duly recognized by pediatricians and chiropractors alike as one of the best pillows for toddler. Its soft and fluffy material is just right to support any toddler’s neck, shoulders, and head without sacrificing comfort. We love supporting American made companies and brands, and the Little One’s Pillow is just the kind of company we love to support. 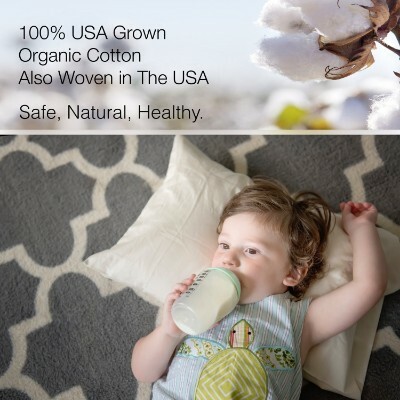 With a 100% chemical free motto, you know that your child is getting top quality products and care with the Little One’s Pillow. 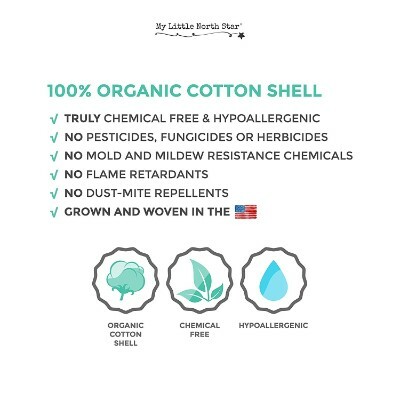 Little One’s toddler pillow features a shell made from 100 percent USDA certified organic cotton combines great comfort, unparalleled hypoallergenicity, and a price to beat. It is free from any chemicals and is highly resistant to dust mites. 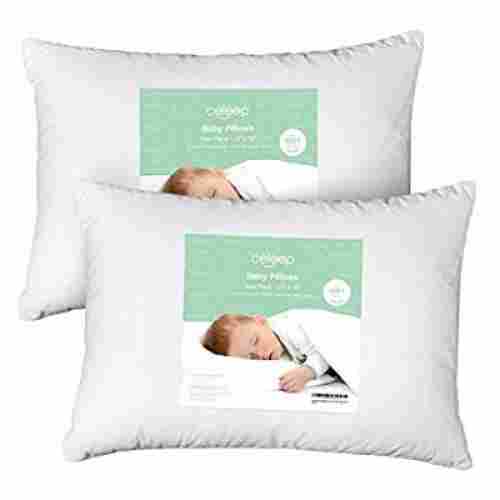 This little pillow is light, comfortable, and hypoallergenic but even more impressive is the truly excellent customer service of this family-run company that strives to give every child a perfect night’s sleep. 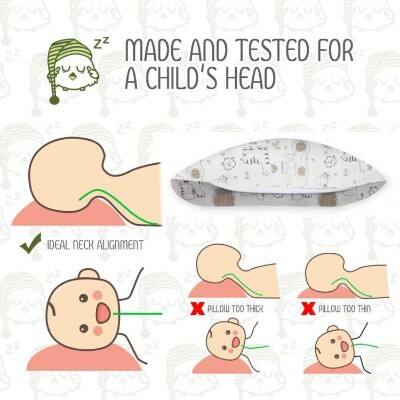 All the features of this product simply translate to better and more comfortable sleep for your little tot while at the same time supporting his or her neck and head. The Little Sleepy Head is also machine washable. We love how durable and well-shaped this pillow is. For a pillow to maintain its shape and fluffiness for years is a great feat. Not only does this make the pillow look great for years and years, but maintaining its shape also mean the pillow stays supportive for years and years. This is super beneficial because children need neck and head support early on in life for healthy spines in the future. At a very friendly price, you can already give your toddler the pillow that he or she deserves with this pillow from Little Sleepy Head. 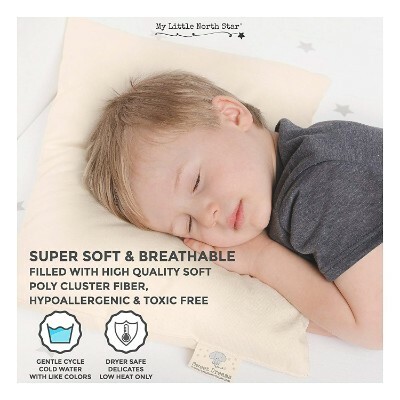 The 13 inches by 18 inches toddler pillow is filled with 100 percent hypoallergenic premium polyester cluster fiber and encased in 200-count 100 percent cotton for maximum comfort. A hand-crafted, organic pillow with just the right amount of support, the My Little Toddler Pillow is easily a top pick for many families. Made from organic cotton, this pillow is ultra soft. It's a favorite of kids and parents all over. 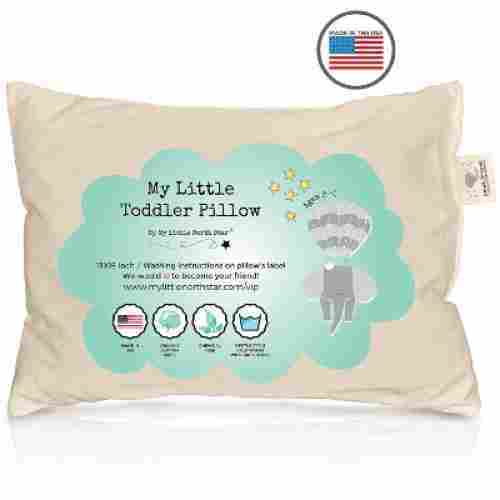 The My Little Toddler Pillow is machine washable and made to last even after multiple laundry cycles. It's the perfect size and made from quality materials. This adorable toddler pillow provides just the right amount of support and is made with a chemical-free, non-toxic filling! The pillowcase and the pillow are both included in this set. It is a quality set that provides great support and washes up well. The pillowcase that comes with this pillow is great for protecting the pillow but is also simply designed to match any décor in their room. The neutral design featuring animal prints is great for both boys and girls. Most toddlers just love animals and this print has been inspired by that love. It is a simple design with animals printed on the case. The case is a neutral color and unisex design. It even matches the manufacturer's swaddle blankets, if you are currently using those. It is the perfect size for their bed at home but also makes a great travel companion. The design of this pillow is ergonomically created and has been tested on toddlers to ensure that it provides great support for the spine and head without compromising comfort. 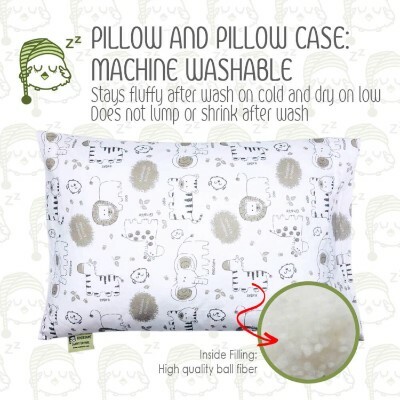 Both the pillows and pillowcases, are machine washable. Toddler life is tough on everything around it and we know their pillows are no exception. It is important to make sure that you can keep their pillow fresh and clean. Provided with each pillow is a pillowcase that has been designed with toddlers in mind. The size is just right for the naps on the go or overnight stays at grandparents'. Let them feel secure when napping or sleeping away from home. When it comes to toddler pillows this design is perfect for your little ones. Often new bedding or bed clothes have an unpleasant new odor until they have been washed a few times and used. This superb pillow from Zach & Ali will not have any smells to discourage or irritate your child while they doze off to sleep. Firmness in a pillow is needed, but everyone has their own perfect pillow. This one is squishy-soft yet firm for that perfect comfortable feeling for your toddler. 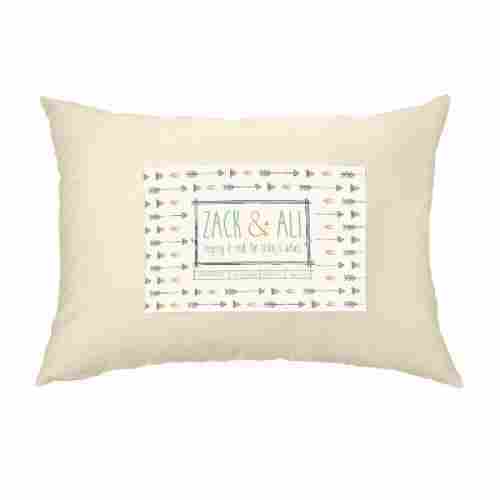 Kid tested and handmade in the U.S.A., the Zach & Ali pillow is a must for your child. It has a 100% cotton cover and filling that is hypoallergenic. Therefore no skin rashes or irritations will develop from its usage. It is chemical-free and machine washable for convenience. The pillow is not so fluffy as to keep the kid’s head too high while resting, yet it provides adequate support to the neck, head, and spine. For the best comfort, the spine must be aligned in a supportive way, which this pillow does wonderfully. As with other pillows of this size, road trips and sleepovers are more comfortable and bearable if your child has his or her own supportive pillow. Get one of the best pillows available with this fabulous Zack & Ali pillow to ensure your kid’s restful and cozy sleep time. For a real budget toddler pillow but still of high quality, you need to get the pillow from Kinder Fluff. 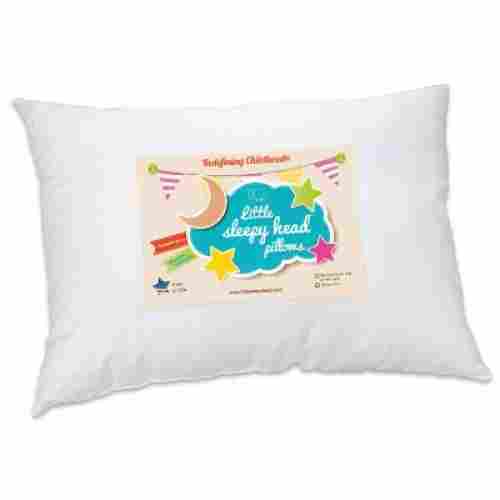 This toddler pillow boasts of a high thread count at 240 making it one of the smoothest toddler pillows in our list. This is a toddler pillow that provides excellent quality for a low price. At the very least, you will be assured of maximum comfort and safety for your toddler at a price that is so affordable. 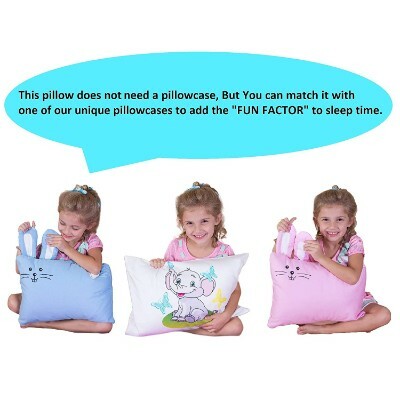 Plus, the 13 by 18 inch toddler pillow is covered with 100 percent high grade cotton and filled with 100 percent synthetic polyester of high premium quality. It’s hypoallergenic, highly machine washable, and resistant to bacteria and dust mites, it’s also lump-free. 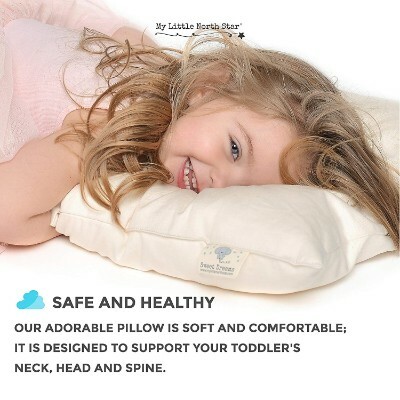 We love the health benefits of this pillow because they help to align and maintain your child’s spinal health. Because children are constantly growing, their backs, necks, and spines are under constant strain. 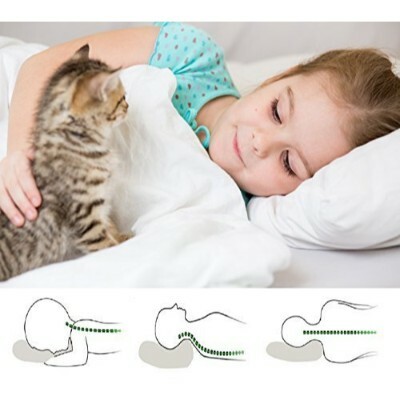 To combat this stress and pain, this pillow provides a stern yet fluffy support system to gentle realign and help keep your child’s back health in tip-top shape. 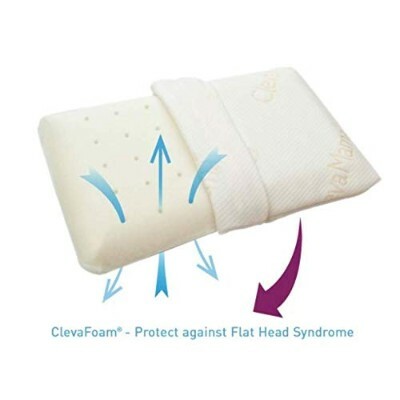 If you require a pillow that acts like a memory foam for your toddler at the best price, then you might want to consider Clevamama’ ClevaFoam. We love and find the airflow technology of this pillow to be incredibly beneficial to the comfort of toddlers. With this patented technology, moisture is drawn away from your child to prevent sweaty, hot nights. The special open cell technology within the foam not only provides optimal airflow but helps in supporting your child’s neck and head. 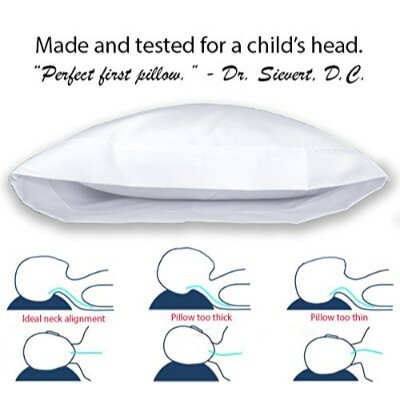 This 21 by 12-inch toddler pillow boasts of several ventilation holes to help improve airflow through the toddler pillow. This can help reduce cranial pressure by as much as 50 percent to help maintain the normal shape of the head and prevent Flat Head Syndrome. The pillow cover can be removed and machine washed. Transitioning your little one to using a pillow can be concerning for new parents with the threat of SIDS not too far in the distant past. 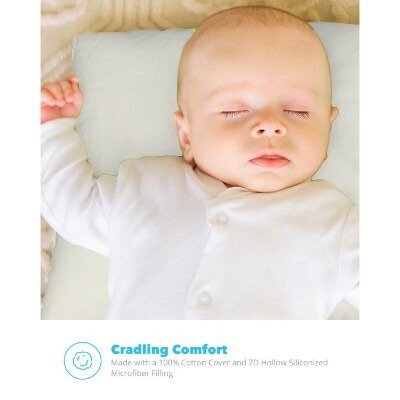 This pillow lets you sleep easy with the peace of mind knowing that with the open mesh-like design of this pillow your child’s breathing will not be hindered. We love the fact that its simple design no longer requires a separate pillowcase. However, should you think you need one, then A Little Pillow Company is also selling a variety of pillowcases designed specifically for this toddler pillow. 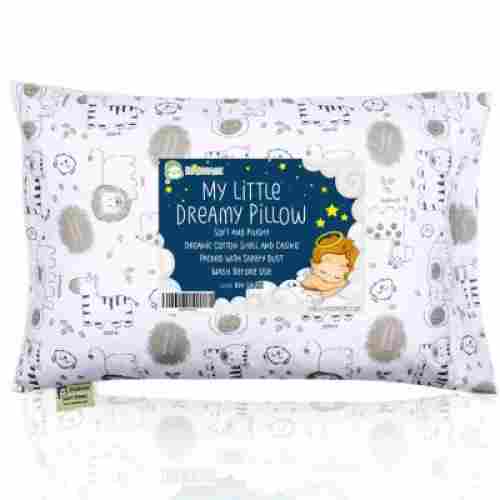 With a variety of printed designs on a white pillow shell to choose from, the toddler pillow from A Little Pillow Company is something that you will never have to fuss with a pillowcase again. The shell is made of a 200 count soft and double-stitched percale encasing a pillow fill that is made of 100 percent hypoallergenic cluster fiber. This pillow allows for optimum comfort and support for your toddler’s growing head and neck. This little sleeper can also be machine washed and tumble dried. We love the numerous prints this pillow offers. Not only does this allow your child to express themselves, but it also gives them comfort while sleeping. To have a pattern that they gravitate towards that also supports their head and neck is a wonderful thing. Pillows are so hard to buy for toddlers. Between being over firm or too soft, it seems like they are never right, but this maker seemed to bring the best of both worlds together. 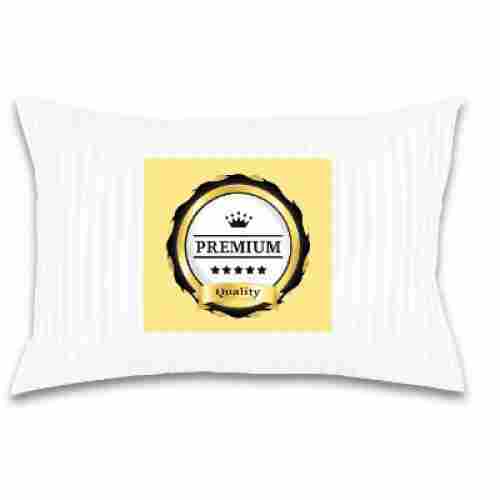 This pillow is constructed with a 100 percent cotton cover that is super-soft and an inside featuring 7D microfiber and siliconized filling. 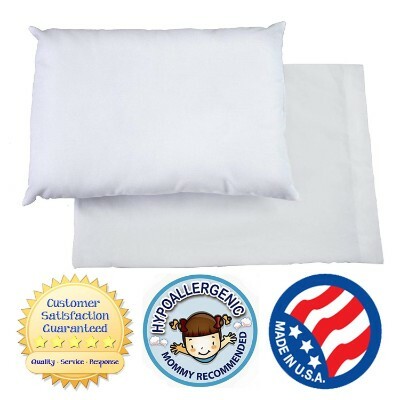 This is a premium-grade pillow that will supply your toddler with all the support and comfort they need to rest peacefully throughout the night. It has just the right amount of fluff, but still has all the support that is needed to prevent common head and neck problems that pediatricians see in toddlers. It is recommended by chiropractors to keep them cozy and safe. It has just the right amount of filling to support the neck and head keep the spine in alignment. 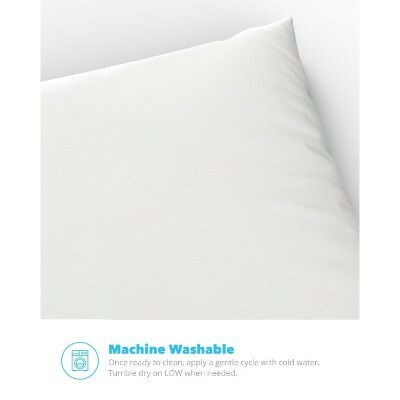 The pillow is machine washable plus features a mildew-, mold-, and dust mite-resistant cover and filling. It is also hypoallergenic and easy to clean. To clean simply place the pillow in the washer on the cold setting then place in dryer on low. Included in this set are two pillows. They are great quality and guaranteed by the company to be a safe value. Why buy one pillow when you can get two great pillows for the same price? Providing a pillow that has the correct support and firmness, but it still comfortable for your toddler can be a hard balance. 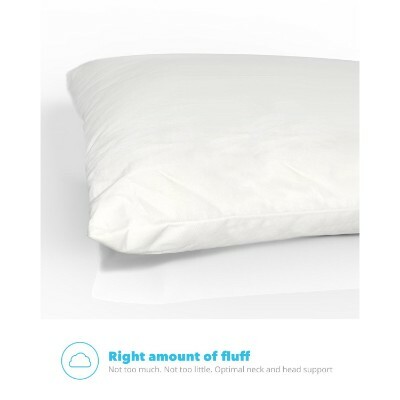 This pillow provides just the right amount of fluff and just the right amount of support to effectively cradle their necks and heads. The filling has been designed to give them a peaceful night sleep while still keeping their neck, head, and back in alignment. A pillow is not a pillow unless it’s comfortable and supportive. For this top 10 list, we only chose pillows that score wonderfully high in comfort for our sleeping angels. To avoid neck pain, back pain, and future damage to the spinal cord, only the softest and supportive pillows were placed on this list. Now, comfort is different for every person. Some of the pillows on this list are memory foam, while others are a blend of polyester and cotton, and others are pure cotton. We included these different materials and levels of support to meet the needs of all toddlers. Because all children are different, they deserve a pillow especially made for them. Right up there with comfort, is durability. Durability in a pillow sense means how well that pillow can keep its shape, how long it keeps its shape, and how long it lasts overall. We don’t want you to pay for a pillow that goes flat within a month, so all the pillows on this list have high shape durability. With proper care and washing, all the pillows on this list should keep your little’s head supported and cozy for years to come. Ideally, a good toddler pillow should last your little one from infancy past toddlerhood. And we expect all these pillows to do exactly that! As previously stated, safety is a very high concern for us, especially when sleep gear is involved. The last thing a parent wants to think about when putting their child to bed is the possible dangers. All the toddler pillows on this list are the pediatrician-recommended size of 19 x 13 inches, perfect for a wonderful night’s sleep. 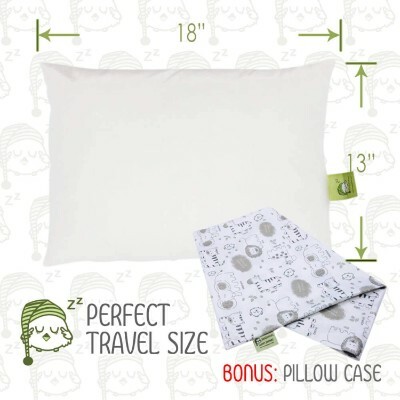 This size not only means the pillow is sized perfectly for toddlers, but it also means that there’s no excess fabric or pillow posing a suffocation threat. Most of the pillows on this list are also hypoallergenic for those sensitive tots. Experts agree that pillows are not advisable among very young infants especially those who are below 18 months old. The reason for this is quite simple. 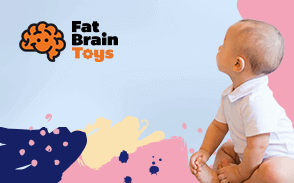 Young infants still don’t have the necessary psychomotor skills to correct their sleeping position in the event that they turn on their tummies and suffocate. It is the risk of suffocation as well as Sudden Infant Death Syndrome that is a major cause of concern and why pillows are not advised for use among young infants. In fact, the Consumer Product Safety Commission reported that there were nearly 700 deaths among infants no older than 12 months of age from 1992 to 2010. While this figure may seem small, two-thirds of these deaths were attributed to the use of pillows as well as thick quilts which, unfortunately, overcrowded baby’s sleeping space. This provided the impetus for the government and child safety advocates to intensify their campaign against the use of pillows among young infants to help prevent SIDS. Scrutinizing each toddler pillow means looking at the level of comfort it provides to young children. We also had to look at the materials used to ensure that it doesn’t contain any chemical that might be harmful to young kids particularly the presence of allergens. We had to look at the ease of cleaning and maintenance as well as other product features that may play a role in your decision to buy one. Our team also had to make a meta-analysis of the different consumer reviews of these products. Lastly, the overall trustworthiness and credibility of the toddler pillow maker were also examined. q: What exactly are toddler pillows? Toddler pillows are pillows specifically designed for children between the ages of 8 months to 2 years old. Children this young cannot sleep with adult-sized pillows because they run the risk of suffocation and smothering. Because adult pillows are so large and thereby pose a risk to young toddlers and babies, toddler pillows were designed. 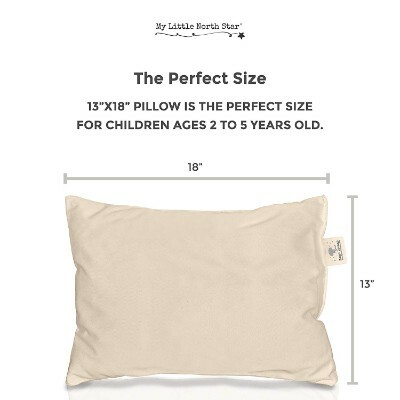 Typically, toddler pillows are a half to a third the size of adult pillows. q: When does my child transition from newborn to toddler pillows? This can be a tricky answer, only because each child is different and each parent is different. Honestly, when you feel most comfortable with your child sleeping with pillows is when the transition should happen. If by 2 years you haven’t started incorporating pillows into their bedtime, then you should consider starting. q: Should I buy hypoallergenic pillows? If your child is highly sensitive to most fabrics, then hypoallergenic is the probably the safest route to go. Always test out new products with your child in small doses, though, just to be certain they won’t have any adverse reactions. q: Are there dangers to buying hypoallergenic fabrics? While hypoallergenic fabrics are meant for sensitive children and toddlers, they sometimes have the adverse effect. To gauge if hypoallergenic materials are right for your children, see how they handle small quantities of hypoallergenic fabric. You can give them a small swatch of hypoallergenic fabric and see if they have any adverse reaction. If no spots or irritation occurs, then you are good to go. If you do notice red spots or irritation, then it’s probably best to not purchase hypoallergenic products. q: How large should a toddler pillow be? Ideally, you are looking for anything between 17 x 11 inches and 19 x 13 inches, but the latter is the recommended size by most pediatricians. q: Do toddler pillows come in different sizes? Toddler pillows are generally 19 X 13 inches, as recommend by pediatricians. The reduced size prevents suffocation risks from excess fabric and fluff. q: What’s the difference between foam and filled pillows? Foam pillows, typically memory foam, are one continuous piece of engineered foam for support and comfort. They usually have a soft, downy like covering to help protect the pillow itself and to help provide even more comfort to the sleeper. Regular pillows, on the other hand, are filled with some kind of fluff, usually a mix of cotton and polyester, and rely on this mixture as the main component of support. While memory foam pillows don’t bunch up or cluster like regular pillows do, it’s extremely difficult to fluff or unflatten a memory foam pillow. q: Are foam pillows more comfortable than regular pillows? Honestly, comfort is all up to the individual. While some find foam pillows more comfortable, some find them extremely hot and lacking in support. Heat-sensitive toddlers or toddlers who require a lot of neck support might not like foam pillows. But, as previously stated, all babies and toddlers are different. So, what might work for one child, might not work for another. q: How can I keep my toddler’s pillow from going flat? When a pillow goes flat, it loses a lot of its cushion and support. To combat this issue, routinely turn the pillow to prevent from losing all that comfy, squishy goodness. Also, to maintain its shape, fluff the pillows routinely also. This will prevent all the filling from collecting on one side or bunching up. q: How can I properly clean a toddler’s pillow? 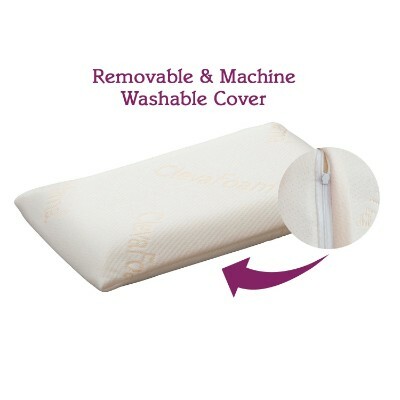 Usually, the covering or casing of a pillow can be machine washed on a gentle setting. Unless the casing tag states otherwise, machine washing is very effective. However, the pillow itself is a different story. Machine washing a pillow will cluster up the filling, making it lumpy. Some can handle a machine washing and drying, but always check the label before attempting to clean your pillows.